WhatsApp video calling lets you place a video call to anyone using WhatsApp. 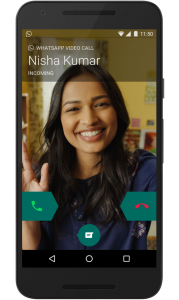 Video calling is only available to users who are on Android OS 4.1+, iOS 8.0+ and Windows Phone 8.1+. If your system OS is not supported, video calling will not be available to you.